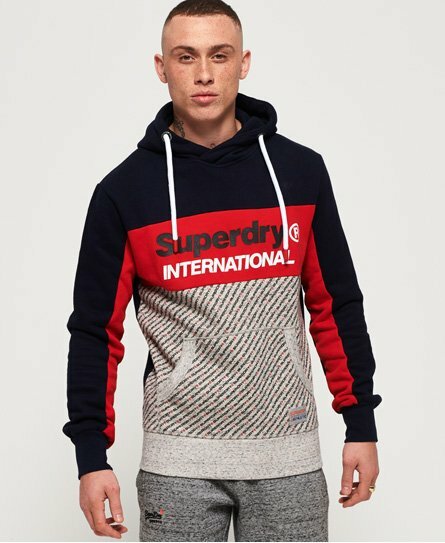 Superdry men's Trophy micro print track hoodie. Inspired by street style, this hoodie features a colour block design with a Superdry logo across the chest in a cracked finish. The hoodie also features a draw cord hood, a front pouch pocket and ribbed trims. This hoodie is completed with an all over print design on the bottom front panel and a Superdry logo patch on the pocket. Style with jeans or joggers and your favourite trainers for a laid-back look.